The Belle Isle Advisory Committee has green-lighted a resolution that will continue the Detroit Grand Prix on the island, for at least the next three years. The measure still has to get final approval but this committee was viewed as the biggest hurdle. The Detroit Belle Isle Grand Prix takes place in the shadow of the General Motors world headquarters and often features Chevrolet Corvettes as pace cars. Many of the Indy race cars also use Chevrolet engines. The timing for continuing the race is viewed as huge, because Detroit is shifting its North American International Auto Show to June starting in 2020. The Detroit Belle Isle Grand Prix takes place the first weekend in June and will create momentum for the auto show which is scheduled to run the second week of June. The organizers are promising to re-invent the Detroit auto show and make it more like a festival. Events will take place through- out the downtown area and make use of the waterfront. The auto companies will be able to offer ride and drive events during beautiful weather, rather than the harsh January winter. Moving to June will also help the auto companies in the competition for journalists who also cover the Consumer Electronics Show in Las Vegas, Nevada. Auto show organizers are also hoping that the new June dates will help them win back many of the European auto companies that have dropped out of the Detroit show, because of the timing and expense of building exhibits at the Cobo Convention Center. The excitement surrounding the Detroit Belle Isle Grand Prix is expected to help the city establish June as a new automotive highlight in the Motor City. 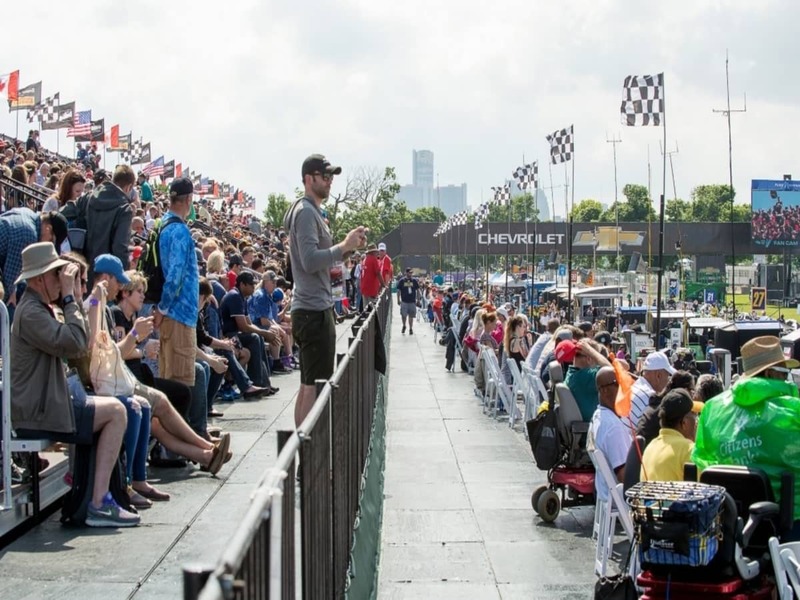 Grand Prix organizers estimated that the 2018 Grand Prix event attracted approximately 105,000 people to Belle Isle Park over the course of its three days, an increase from an estimated 100,000 attendees in 2017. With the help of Roger Penske, who fields a team of Indy cars for the race, the Grand Prix has been able to fund a number of improvements to the island during the last few years. Belle Isle is considered a jewel of Detroit, but it had fallen into disrepair after decades of neglect. The Grand Prix has helped pay for repairs to the iconic fountains, the Belle Isle Casino, the restrooms, the roadways and the landscaping. Not only does the race pay for continued improvements to the island but it also showcases the city on a nationally televised broadcast. According the Grand Prix, The Detroit races also generated the second-most stories and overall media coverage behind the Indy 500, which is impressive. However, some city residents resent the races, saying that they tie up the island for too long and keep Detroit residents from enjoying the beautiful park. At this point, the Detroit Grand Prix isn’t saying how long it believes that the race will be feasible. While the Detroit race’s attendance numbers show slight improvements, nationwide attendance figures have been declining for both NASCAR and Indy Car races. The new contract would keep the race at least for two years of the new NAIAS dates, in 2020 and 2021. Hopefully, that will be enough of a springboard to help create a festival-like atmosphere and get the new-rejuvenated NAIAS off to a great start. You can learn more about Belle Isle here.